It looks like Mark Wahlberg wants to bring about the “next big thing” in science fiction. 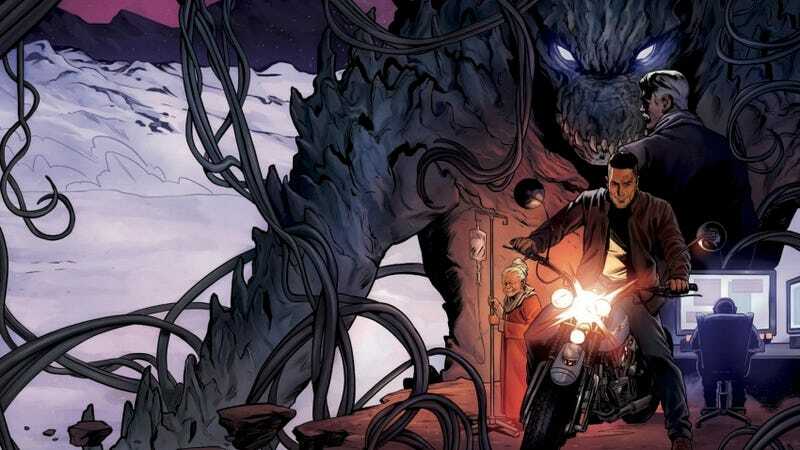 He and fellow producer Stephen Levinson have announced a new comic book series with Vault Comics, Alien Bounty Hunter, and they’re crossing their fingers it one day heads to the big screen. “Some of today’s greatest film franchises originated as comics. We always try to get involved with the story telling process from its inception,” Wahlberg and Levinson said in a statement. According to the press release, Alien Bounty Hunter will be the origin story of Ben Madsen, who’s tasked with apprehending a fugitive... but it turns out, his target isn’t even human. Ben uncovers a massive alien enclave housing some of Earth’s most dangerous aliens. So basically, it’s Men in Black meets, umm, Dog the Bounty Hunter. It makes sense that Wahlberg and crew would be interested in starting a franchise from a comic book, since so many upcoming films and TV shows are based on graphic novels, but this is an unusual case. Of course, comics have been launched before to promote or push different series, but this time around, they’re openly talking about how it’s mainly designed to lead to a brand-new film franchise. Sadly, it ends up feeling a little disingenuous. Comic books are a well-respected medium, all on their own, and they shouldn’t be treated like a temporary stomping ground until some Hollywood moguls get what they really want. But who knows, maybe the series will surprise me. Alien Bounty Hunter will be penned by Adrian F. Wassel (The Gifted) and David M. Booher (Powerless), based on a story by Levinson and F.J. DeSanto (Failsafe, Cyborg 009), with art from Nick Robles (Maze Runner, Clockwork Angels). The monthly series is set to debut this July at San Diego Comic-Con, and you can check out some of the early pages below.